We should show compassion towards someone who has non heterosexual desires/tendencies. We should treat all Jews with respect, including during their attendance and participation at Shule. We should not be in the business of being God’s Policemen by determining who does and who does not have tendencies; it is none of our business. The Torah forbids non heterosexual forms of intimacy (it is Rabbinic in the case of females according to many). There should not be fashioned Minyanim of solely Heterosexuals and as a corollary there should not be fashioned Minyanim of solely Homosexuals. All should daven together. There is no evidence that the prevalence of Homosexual tendency is more so today than it was in past history. The Torah refers to the Homosexual act as a תועבה. The Torah does not delineate different types. Science has not unearthed a new reality in respect of non heterosexual tendencies or their aetiology. We do not say there is a “new reality” viz נשתנו הדורות. It is true that if person is an אונס, that is, they are threatened into committing an עבירה, that the Torah does not consider the act as a wanton sin, but rather a forced act for which one is not punished. There is no link to my knowledge, in Torah SheBaalPeh, to indicate that a person’s proclivities ought be considered as an אונס. There is no מקור to state that non heterosexual activities are divided into two categories: תועבה and non תועבה! To create a new understanding of an ancient prohibition, albeit wrapped in a concept (אונס) is creating a new Torah SheBaalPeh without any rights thereby. I would consider such a qualification beyond the pale, and something one would ordinarily hear from open orthodoxy or conservatives. 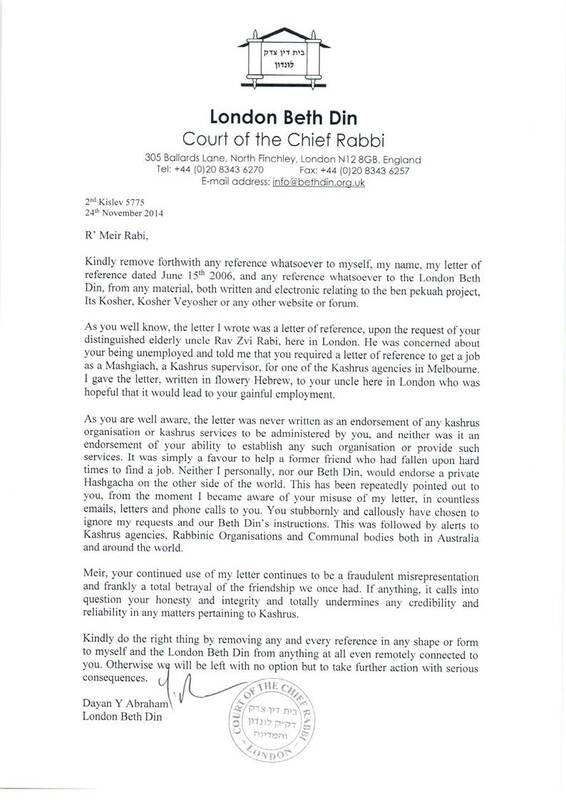 I call upon the Tzohar Rabbinic Assembly to call an urgent meeting to decide on the continued membership and role of Rabbi Riskin given these statements. (It is a great pity that Rav Lichtenstein ז׳ל is no longer with us; he would have played an important role). Rabbi Lamm’s 1960’s view that “the warped family background of the genuine homosexual is considered אונס, the homosexual act may possibly lay claim to some mitigation by the Halakhah” is not considered a normative current explanation for the “source” of homosexuality. Current secular scholarship describes homosexuality as a reality rather than a “condition” that is caused by nurture. The Rambam identified that people may have certainly proclivities which may lead to sin. The Rambam suggested that these proclivities be channeled to permitted activities. For example, someone who had a tendency to violence/blood letting, should instead become a Shochet. I call upon the Chief Rabbinate to distance themselves from Rabbi Riskin’s views and to take action that they deem appropriate. I call upon any Diaspora Rabbi who subscribes to Rabbi Riskin’s opinion, to reconsider their membership of the Orthodox Rabbinate. Commitment ceremonies have no source in Torah. According to the Vilna Gaon they would be Biblically prohibited as חוקת העכום. Where someone has such tendencies, Shulchan Aruch explicitly proscribes יחוד contact; the Dinim of יחוד are a reality that are being ignored by most writers on this topic! I do not understand why they gloss over חזל! Rabbi Riskin’s pronouncements have already led to Steven Greenberg penning an article of excited support. This is hardly surprising.